A twisted tragedy leaves Brooke and her siblings on their own in this provocative new novel from the New York Times bestselling author of The Way I Used To Be. IT’S THE END OF JUNE. A Friday. Like any other day, except hotter. I take my usual shortcut home from school through the alley, where the air is dense and unbreathable, saturated with the raw smell of overheated dumpster garbage. I can taste it in the back of my throat like an illness coming on. But this is the last time I’ll ever need to take this route, I remind myself. Almost instantly that invisible yet ever-present straitjacket begins to loosen its grip just enough for me to breathe a little easier. I’ve been counting down the days for years. Not that school itself was ever the problem. It’s all the people in the school who are the problem. Or maybe, as I sometimes think, the problem might have been me all along. Occam’s razor, and everything. Isn’t it simpler that the problem should be one person versus hundreds, rather than the other way around? Logically, maybe. But then, if I’m really going to think about it—which, I’ve decided, I’m not—me being the problem is the opposite of simple. As I step out of the shaded alley and onto the sidewalk, the sun blasts down in a cascade of heat and light. I stop and roll my jeans up to my knees, while my shadow pools at my feet like a small gray puddle. When my brother, Aaron, and I were little, we always kept a vigilant watch over our shadows, convinced that one day they’d splinter off like in Peter Pan and run amok, committing all sorts of treacherous deeds without our consent. But that was a lifetime ago. I doubt he even remembers. As I stand up, my forehead is instantly beaded with sweat, the back of my shirt dampened under the weight of my backpack. Usually I can’t stand the heat, but today it doesn’t bother me. Nothing can right now. Because I just aced my AP Bio final. I’m officially done with Riverside High. And I’ll be starting my junior year, the most important year, at Jefferson—the special charter school that’s had me wait-listed since eighth grade—with all new people. Where no one knows me. Where I can focus, get ahead, and start my life already. I’ve wanted to go there ever since I found out about all the AP classes they offer. I’ve thought about it for roughly a million hours. I worked out a plan and now it’s finally happening: I’ll graduate from Jefferson, get in to an amazing college somewhere far away, and then get out of this hellhole for good. I feel a hitch in my step. I involuntarily skip ahead on my toes. This feels like a moment I should be celebrating with my friends, if I had any. Because I’m free, almost. I look up just as the red and blue lights begin spinning, in time to watch the patrol car go from parked to sixty in a matter of seconds, the noise shifting the heavy air around me. The heat radiates from the pavement through the rubber soles of my flip-flops as I skip over the crumbling blacktop, sidestepping the potholes I’ve practically memorized over the years. The sirens fade into the distance, but within seconds that patrol car is followed by five more, then a fire truck, then an ambulance, leaving the air too still in their wake. I follow the procession of emergency vehicles, systematically reviewing my answers on DNA and RNA and the endocrine system, and cell division: prophase, metaphase, anaphase. For six blocks of brick and cement and glass-window storefronts, the sun beats down on my hair and face, my shadow following along behind me the whole way. I only wish I could’ve known that these were the last relatively carefree moments of my life, because as my heel turns ninety degrees on that last corner to our apartment, nothing will ever be the same again. The six police cars and the fire truck and the ambulance are all jammed into the narrow alley next to our building. Although there are seven other apartments in our building, I can feel it in my bones and skin and blood, this is not about any of the other people behind any of those seven other doors. I try to run but it feels like I’m moving through water, my feet sinking into wet sand, my legs getting tangled up in strands of seaweed wanting to pull me under. I don’t care that I’ve lost my flip-flops, or that the sunbaked asphalt is boiling the soles of my feet, or that somehow my backpack has shuffled off me and is now lying in the middle of the road like a dead animal, with all those precious study materials inside. I race through the door and up the stairs, calling her name over and over again. I make it up only to the first landing before I’m caught by the waist, a voice shouting in my ear to “calm down, calm down.” I try to fight him, but it’s no use. “Brooke,” he says firmly, calling me by my name. “Hold still, all right—wait!” I know exactly who it is without even having to look. Tony. He told me I could call him that when I was in fourth grade and one of our neighbors had called the cops on us. It was the time Dad broke Mom’s collarbone and Mom convinced the police she had fallen down the stairs. That was one of the few times I’d ever seen him cry about what he’d done; he melted into a puddle, and swore—swore to all of us, swore to a god I’m not sure he even believed in—never again. I didn’t know which version of him scared me more, the crazy one or the sorry one. We’ve been through this enough times to know that the cops don’t pull out all the stops like this for a simple noise complaint from a neighbor, especially when that neighbor is a cop himself. Which can mean only one thing: It’s finally happened. Aaron always said it was only a matter of time. Tony opens his mouth, the words to explain escaping him. Mrs. Allister, in 2B, inches her door open, the chain-link lock pulled taut in front of her face. She stares out at me with her wide, red-rimmed eyes, her chin quivering, her mouth turning downward as she whimpers my name. “I didn’t know what to do,” she pleads in her own defense. “I didn’t know what else to do.” Mrs. Allister was always the one to call the cops, until the one time when I was in seventh grade and I barged into her apartment, yelling about how even though she thought she was helping, she was only making things worse. Calling the police never did any good, I tried to make her understand, because he was one of them. Mrs. Allister cried then, too. As far I know, she never called again. Until now. “Ma’am, back inside right now!” Tony demands. And Mrs. Allister retreats like a turtle back into its shell. The door clicks shut, the dead bolt sliding into place. Then suddenly a whole swarm of cops in bulletproof vests barrel down the stairs toward us, shouting, “Outta the way, move, outta the way, get her outta here.” I think they mean me at first, but before I even know what’s happening next, Tony has my back pinned against Mrs. Allister’s door, shielding me as they pass by us like a hurricane of bodies. That’s when I see her, my little sister, like a ghost encircled by these gray uniforms, each one with a hand on her. Her hair swings forward over her shoulders as the cops jerk her body down the stairs. She’s still wearing her baby-blue T-shirt and her favorite cutoff jean shorts, which she isn’t allowed to wear to school, just like she was when I left this morning. I remember because she kicked her feet up and sprawled out on the couch, grinning in that stupid, goofy way of hers, taunting me because she was already finished with her exams. “Summer starts now, sucker!” she said as she flipped on the TV. But now her eyes stare ahead, wide and empty, unfocused. “Callie?” I call after her. “Callie!” I shout her name as loud as my voice will let me. She doesn’t even look back. I struggle to get out from under Tony’s arms, but he holds me in place. “What did he do?” I want to scream it, but the words drown in my throat. I search Tony’s eyes for an explanation, but I can’t force myself to ask the real question: Is she dead? But I need the answer. I need it now. Because even though I know she has to be dead, there’s this hope still chiseling away at my heart. His arms envelop me, and for maybe the billionth time in my life I wish that he were my father, that he were taking me out of here. For good. Away from all of this. I feel myself slinking down against the wall and melting into the floor, my legs twisting under me, suddenly unable to support the weight of my body. Tony crouches down next to me, instructing, calmly somehow, “Breathe, Brooke. Breathe.” Over his head a figure has emerged. I blink hard. There, on the landing at the top of the stairs—alive. She’s alive, and life can continue, and we’ll be fine, we’ll be fine because she’s there and alive, and that’s all that matters. “Mom,” I whisper, scrambling to my feet. “Mom!” I yell. She lifts her head as I call out to her. Her face is tear-and-mascara streaked. I break away from Tony, my flimsy arms and legs struggling to crawl up each step. I reach out to her, but she doesn’t reach back. I watch as she unfolds in bits and pieces, like my brain is suddenly working in slow motion to understand, unable to take it in all at once. There’s a legion of cops surrounding her, holding her arms behind her back as they walk down the stairs in rigid, jerky movements. Her eyes hold mine as she comes closer, mouthing the words, “I’m sorry, I’m sorry,” as if she no longer has a voice. And I’m shoved out of the way like I’m not even there. As she passes, I see her arms twisted behind her back, the shiny silver handcuffs locked around her wrists. Her hands look like she dipped them in red food coloring and didn’t wash it off before it stained, the way our fingertips used to look after coloring Easter eggs when we were little. I think my heart actually stops beating. I swear, I die. A temporary little death. Because that’s when the whole picture shifts into focus, the puzzle pieces fitting together, yet the picture they form making no sense at all. “No,” I breathe, trying to shout the word. But no one’s listening. No one understands. The final day of sophomore year promises to bring the much anticipated freedom Brooke Winters has been hoping for, until the unimaginable happens and her mother is arrested for the death of Brooke’s abusive father. Helpless against a judicial system that might spare their mother, Allison, and prevent the children from being left alone in the world, Brooke and her siblings—older brother, Aaron, and younger sister, Callie—try to make sense of their world. The heartbreaking struggle affects each of them in different ways, with significant consequences. Brooke is intent on clinging to the truth as she believes it: her mother will be released from prison, and their family will finally be free from the violent life they’ve always known. Brooke follows a downward spiral of denial, delusion, and self-deception as she hides the truth from herself and from those who care about her most. Only when Brooke learns to believe in herself and to understand the parameters of love does the courage to hang on become the courage to let go. This deeply compelling novel explores the internal psychological and emotional journeys of children jeopardized by domestic violence, and the heart and mind’s potential for positive change. 1. Brooke’s first-person narrative affects how we experience her as a character and how we witness other characters and events. Do you find her relatable? What would be lost in a third-person omniscient narration? 2. How does the way Brooke relates to her siblings, her mother, and Jackie reveal something about her? Do you sympathize with Brooke? 3. Brooke wonders “if fish can miss the sea, even if they’ve never lived there. If something instinctual tells them This isn’t real, this isn’t what life is supposed to be like.” What is significant about this passage? What does Brooke believe her life is supposed to be like? 4. It’s difficult to assist someone who refuses to ask for help or admit they’ve been abused. Jackie tells Brooke, “‘I couldn’t help her because she couldn’t deal with the fact that she needed help. I’ve managed to stop blaming myself over the years.’” What are the far-reaching consequences of this loss of connection between Jackie and Allison? 5. What role does Dr. Greenberg play in Callie’s recovery? What role does Jackie play? How does being in Dr. Greenberg’s office initially affect Brooke? How does this change over time? When invited to live with Jackie and Ray, Brooke tells Aaron, “‘I know I should feel safe and secure but it’s the complete opposite.’” What does Brooke mean by this? What problems does this present? 6. Why is Brooke so reluctant to share her feelings and her family story of abuse with Dani, instead using lies and excuses to cover up the truth? What effect does this have on their relationship? How important are honesty and mutual trust to Dani? To Brooke? How important are they to you? 7. Any repeated unhealthy behavior can become abusive. What were the early signs of abuse between Brooke and Dani? Do you think personal secrets are sometimes necessary? At what point do personal secrets become deceptive, and when does deception become abusive? 8. Compare Allison’s and Brooke’s natures. What is at the heart of the way they each relate to the world? In what ways are they the same? In what ways are they different? Consider Allison’s treatment of Brooke, and Brooke’s treatment of Dani. Do these actions have the same effect on Brooke as they do on Dani? 9. In addition to the theme of domestic abuse and violence, the author gives voice to issues of revenge, injustice, lying, self-deception, the delicate nature of friendship, and the vulnerability of the human spirit. What are some of the other themes, issues, and concerns addressed in the novel? Which ones are most important to you? 10. Considering secondary or peripheral characters, whom do you relate to most? For what reasons? What effect did this character have on the three siblings? What effect did this character have on you? 11. Relationship abuse and domestic violence can be physical, psychological, and/or emotional, and can cross lines of ethnicity, religious beliefs, social class, gender identity, sexual orientation, and age with profound, long-lasting effects. Why might people not always leave abusive relationships? Why didn’t Caroline and Allison end their relationships before the abuse escalated? 12. What behaviors do you look for in a dating partner? In a friend? What behaviors make you feel safe in a relationship? What behaviors make you feel unsafe? What are your nonnegotiables in a relationship? What qualities do you bring to a relationship? 13. Why do you think Brooke responds so positively to Caroline? What aspects of Caroline’s personality help Brooke find confidence and trust in herself and others? Do you believe people can change if they want to? 14. How does Caroline’s story help Brooke better understand her mother? How does it help Brooke better understand herself? 15. Books, music, movies, TV shows, and social media send powerful messages to young adults about relationships. What beliefs do they tend to promote? How do young people in your community learn about healthy or unhealthy relationships? 16. Boys and men who are victims of abuse often don’t receive the support and resources they need. Why do you think this is? Where did Aaron turn to find the understanding and care he needed? What had he learned about himself? Could he have found his path to healing without leaving? 17. Caroline left Brooke with the message, “Caroline. Just in case.” Do you have a trusted relationship with at least one responsible friend or family member “just in case?” Who is it? If not, who might you ask? 18. How did reading The Last to Let Go affect you? Which aspects of the story were most relatable to you? Which aspects inspired you? Which aspects were the most disheartening? 19. What realizations allow Brooke to feel safe enough to start over, to begin again—to let go? 20. Was the ending satisfying to you? What do you think might have to happen for Aaron, Brooke, and Callie to break free from the cycle of abuse and damaging legacy of domestic violence that is so often passed down through the generations? 1. Occam’s Razor is a problem-solving principle that suggests the more assumptions you have to make, the more unlikely an explanation is. All things being equal, the simplest explanation is usually the best one. Research some practical applications of this principle. 2. Become familiar with and uphold the Relationship Rights featured on loveisrespect's website, www.loveisrespect.org. This is a set of rights that can help set respectable boundaries in a relationship. 3. Consider becoming a loveisrespect peer advocate. loveisrespect National Teen Dating Abuse Helpline was launched in February 8, 2007, by the National Domestic Violence Hotline and Break the Cycle. This 24-hour national web-based and telephone resource center was created to help teens and young adults experiencing dating abuse, and is the only helpline in the country serving all 50 states, Puerto Rico, and the Virgin Islands. In addition to the telephone hotline, there is a text feature and live chat option that allows teens to connect to trained peer advocates via the web. The loveisrespect peer advocates are trained to offer crisis intervention, advocacy, and information and referrals. The Office on Violence Against Women of the United States Department of Justice supported the launch of the helpline. 4. Become familiar with available services in your community working to stop domestic violence, including your local nonprofit Coalition Against Domestic Violence. The coalition works in partnership with direct service providers, government officials, and business and community partners to promote equality in relationships and alter the social conditions that allow violence and abuse to occur. 6. American psychologist Martin Seligman initiated research on learned helplessness in 1967. Learned helplessness occurs when a person endures repeatedly painful or aversive circumstances, believes himself or herself to be helpless, has accepted that he or she has lost control, and thus gives up trying. Learned helplessness theory is the view that clinical depression and related mental illnesses may result from such real or perceived absence of control over the outcome of a situation. For research into learned helplessness and its prevalence in relationship abuse and domestic violence, begin with a website such as Seligman's Theory of Learned Helplessness and Long-Term Depression. 7. In a 2016 paper by researchers from the Max Planck Institute for Human Development, the authors suggest self-deception is more than an “anomaly in human behavior” and hypothesize it will be the next scientific frontier that psychologists take on. In order to understand Brooke’s propensity for self-deception, read Sarah Sloat’s article, “Why We Lie to Ourselves” at https://www.inverse.com, as well as the many other supporting articles found online. This guide was prepared in 2017 by Judith Clifton, M.Ed, MS, Educational and Youth Literature Consultant, Chatham, MA. 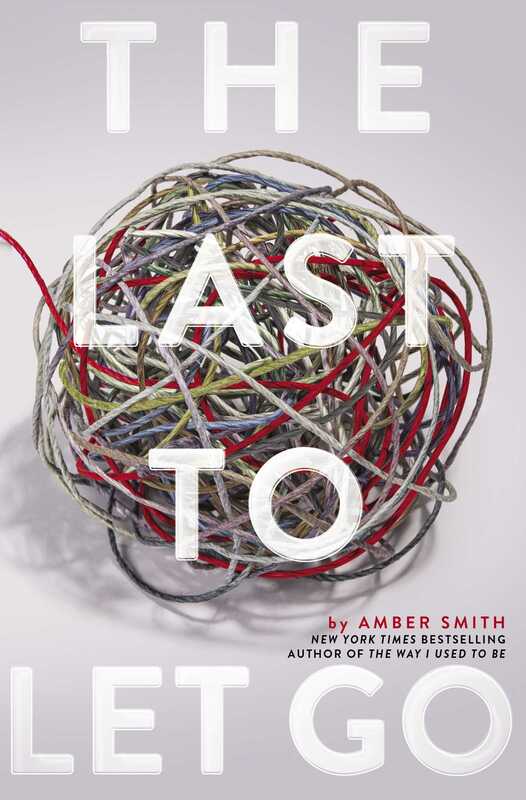 Amber Smith is the New York Times bestselling author of the young adult novels The Way I Used to Be and The Last to Let Go. 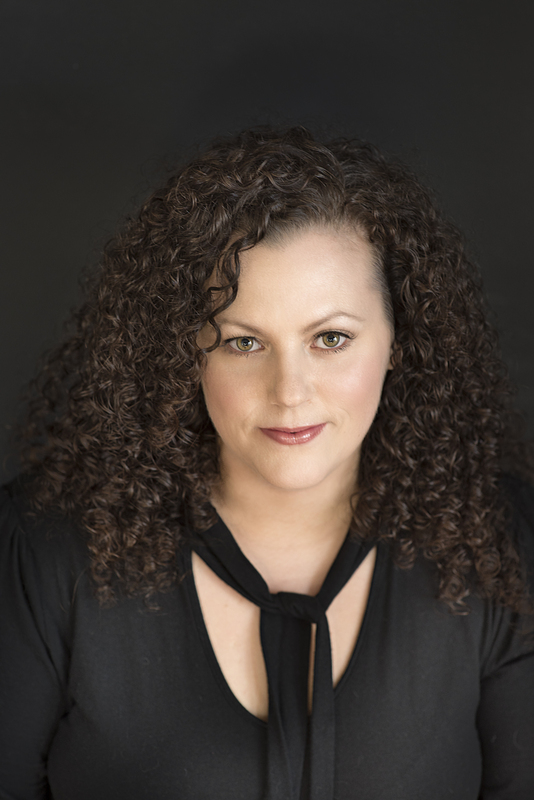 An advocate for increased awareness of gendered violence, as well as LGBTQ equality, she writes in the hope that her books can help to foster change and spark dialogue surrounding these issues. She grew up in Buffalo, New York, and now lives in Charlotte, North Carolina, with her partner and their ever-growing family of rescued dogs and cats. You can find her online at AmberSmithAuthor.com. "The ups and downs [Brooke] faces are one hundred percent relatable and demonstrate that, even in the face of pain and anger, hope is the one thing that cannot be taken from us."